Shri H R Khan the Deputy Governor of the Reserve Bank of India has expressed the potential of mobile banking in India while speaking at the Federation of Indian Chambers of Commerce and Industry (FICCI) and the Indian Banks’ Association (IBA) in Mumbai last September 5, 2012. Technology has played in important role in the evolution of banking in India. First there was ATMs then internet banking thus noting that local geographical bank branches are not as important when it comes to doing transactions. The question right now for banks is not about whether mobile banking is good for business but how to take advantage of this new trend in the banking industry. It is going to be about the evolution of better customer service, expanded product range, reducing operating expenses while enhancing revenue through mobile banking. Mobile banking can make it easier on customers but still there are a lot of issues that plague the landscape. First, a bank-led model has been adopted by RBI as the standard for mobile banking in India. This means that a financial institution should have a deposit product, a credit product, a micro-insurance product, and a remittance product. However, other countries have been successful with a non-bank led model which means that an institution can have only one product and still operate. Second, since mobile banking does not have a physical limit, this creates a problem with cross border remittance. In the mobile banking industry, this is still a problem that poses a lot of challenges. In India’s case, the RBI has allowed these so called cross-bordered transactions to be undertaken by banks and other authorized entities. Third, the problem of customer ownership and grievance redressal if something goes wrong while a customer is banking through mobile channels there are usually two parties involved the mobile network operator and the bank. Because of the bank-led model for mobile banking the customers get full protection for completing transactions. There is a Banking Ombudsman that mobile banking customers can go to should there be problems. 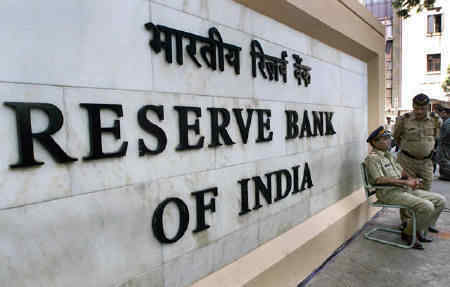 Fourth, because of the two parties that are involved in this model, the RBI recognizes the role of the mobile network operators to improve the whole mobile banking scene. As technology service providers, the mobile network operators should work hand in hand with the banks to ensure customer satisfaction. 52 banks have started a mobile banking service and only a few of them have achieved traction when it comes to transactions. The education of users and potential users with the technology is still a challenge. Mobile banking has great potential and the industry is still at its infancy. Do you think that the problems faced by the mobile banking sector in India is similar to what the sector in other countries also face? What can you suggest to make mobile banking mainstream an experience similar to walking into your local branch? Today more than half the population in India has a mobile phone. 76% of Indian mobile respondents used their mobiles for banking in last 6 months. This percentage is highest across the world. it is important for one to educate himself about mobile banking.